Don't you just love when you can breathe new life into something? I know I do. Years ago, when my husband and I cleaned out his old house, we found some pendant lights from the house he grew up in. They were so cool I wanted to revive them. They've always been in the back of my mind, and over the years, I decided to add copper to make them really pop. I finally got to the project, so today, I share with you my happy, creative moment. All over pinterest, I have been seeing 3D flower art. 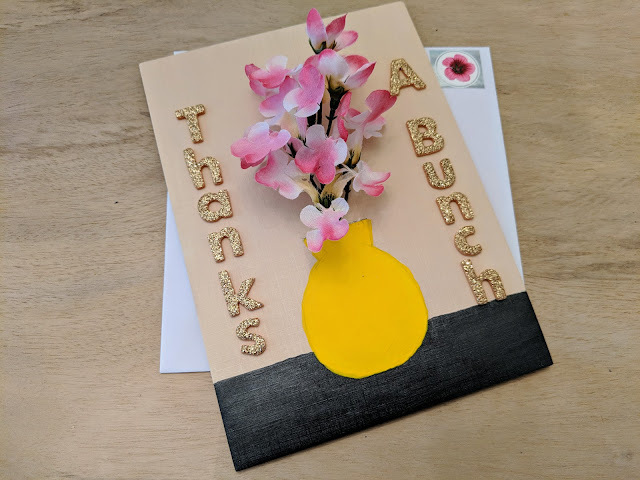 So, when I wanted to make a special thank you card for an amazing friend, I knew that I wanted to try the 3D flower art for myself. Here is a look at my take on this current trend. Kids always seem to love a good spy party, and why not? It is so much fun! This party has it all --vintage spy decorations, fun spy activities, spy themed food, and of course, an awesome spy party goodie bag. 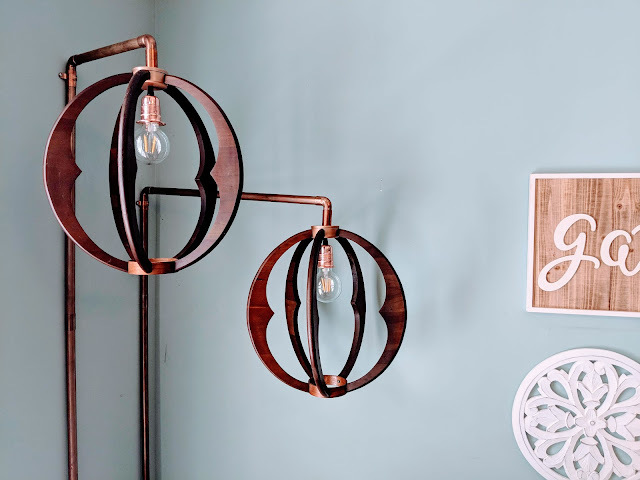 Styling spaces is one of my favorite DIY projects. I love the simplicity of finding inexpensive ways to make big updates. 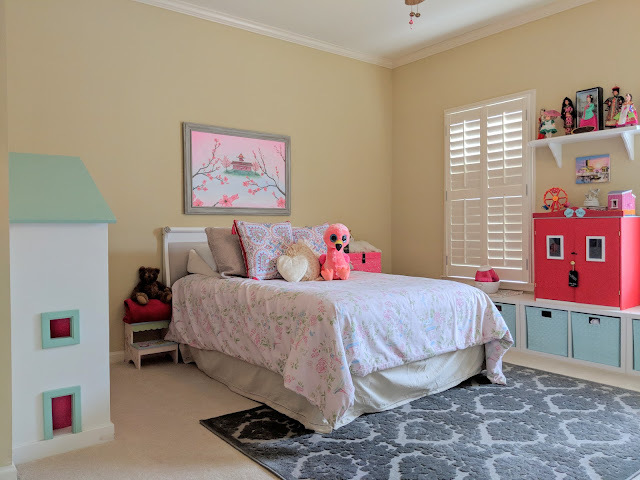 Recently, I worked on a few updates for this Asian cherry blossom and flamingo inspired girl's bedroom. Who says you can't combine 2 things that don't quite go together into a very cohesive and fun theme? I'm all about personalizing things to make a happy space, no matter how odd it might seem. That's why Asian cherry blossoms and flamingos make a perfect pair for this room restyle.